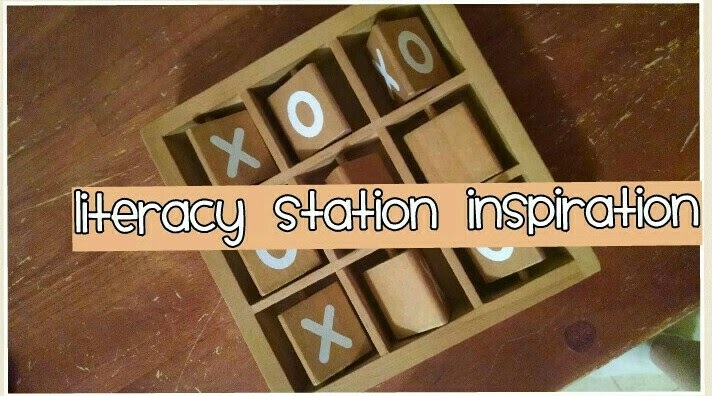 Ideas and inspiration for literacy stations can be found in unlikely places. Literacy is all around us: be opportunistic! Flocabulary Blog: Check out this site for great resources! If you can't purchase a subscription, you can still find free videos and materials. Outdated Books: Don't let your librarian throw those tattered and outdated books away! Novels, references, and magazines can be used in stations for "found text." Let students find words, sentences, examples, word origins, affixes, and commonalities among words, then cut them up and for use in vocabulary, part of speech, or sentence-structure activities. If your school is anything like ours, you can probably find textbooks in your school's storage closet from your grandparents' generation that are up for grabs. Magazines: Keep a collection bin of magazines and catalogs for students to use to find images and advertisements. 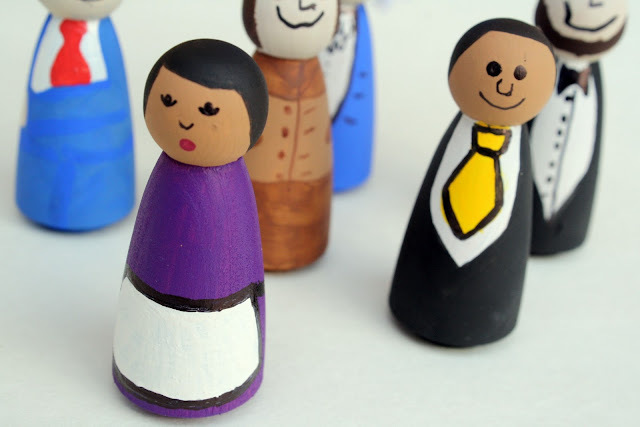 These are great for mood, tone, conflict, and author's purpose activities. Newspapers: Newspapers can be used for the same purpose as magazines; or you can incorporate text feature and text organizer activities. Children's Books: Short books and picture books are wonderful for plot diagramming and characterization. Check them out from the library, and make sure not to throw away the books you get with your Chick Fil-A kids meals. These sometimes have crafts and activities also! Hobby and Craft Stores: Check out the holiday and party sections of stores like Hobby Lobby, AC Moore, And That!, and Michael's for inexpensive props, craft ideas, and simplistic additions that can make your stations fun, interactive, and engaging. Some of these stores even have history and science craft sections with pre-made posters and activities. Toys and Figurines: Increase the appeal of your stations by incorporating super heroes and cartoon characters. Including the characters as props makes for a kid-friendly environment. Even older students get excited when props and additions are present. Dollar Stores: Colorful posterboard, small dry-erase boards, oversized dice, and other fabulous finds can be purchased at your local dollar store. School Resources: If you have access to a poster maker, laminating machine, or color copier, you have the ability to create station materials that can be preserved and reused for several station cycles. Keep your materials in bins on a shelf, and reuse manila folders and gallon-sized bags. Free Online Passages: Find comprehension passages by lexile level on ReadWorks! These are great for content-specific comprehension passages that can be easily made into reading stations. My new favorite find is the Ohio Resource Center. There are a variety of printable and online materials that are wonderful for cross-curricular literacy stations! Pinterest: Although many of the ideas on there are elementary based, many concepts and games can be altered to become a middle school level creation. Dictionaries and other resources: Those dictionaries are so full of definitions waiting to be used for acronyms, word study, and connotation lessons. Old encyclopedias can be cut and pasted into shorter passages for a main idea or summarizing activity. If these old sources are falling apart, don't trash them- the creative possibilities are endless! Board Games: You can easily turn a regular board game into a learning activity by adding questions to the cards that are content specific. Many of the games have rules that can still apply but the questions would be the only change. Game pieces can come from the dollar store if you need them. Just think outside the box! Scholastic Magazines: If you're school subscribes to Scholastic Scope, Action, or another magazine for kids, you can turn these resources into station texts. We have created literary scavenger hunts with Scope magazine. Action is also great because the website offers three versions of the same article in different lexile levels! Why didn't I think of using Scholastic Action as a station- Especially with the online access! Perfection. Do you also have to use a basal with your instruction? Any recommendations about a balance there?